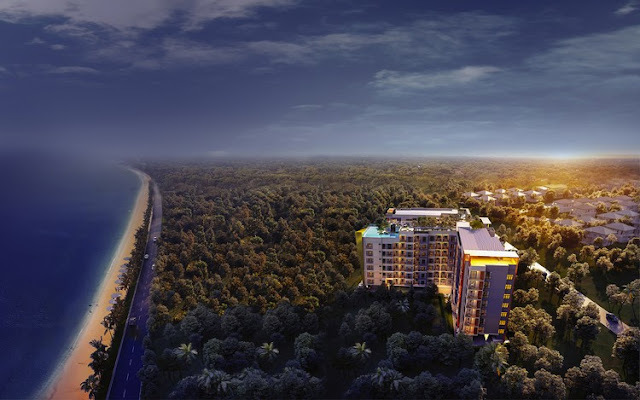 The luxurious modern condominium project at Bangsary area purpose for 100% investment. Irin Property Co.,Ltd enter to new investment property market by spent over 1,000 million baht investment and partner with WYNDHAM Hotel Group to launch the first new investment project “WYNDHAM GARDEN Irin Bangsary Pattaya” The luxurious condominium for 100% investment purpose with Low-rise and modern luxury style at Bangsary Pattaya area. 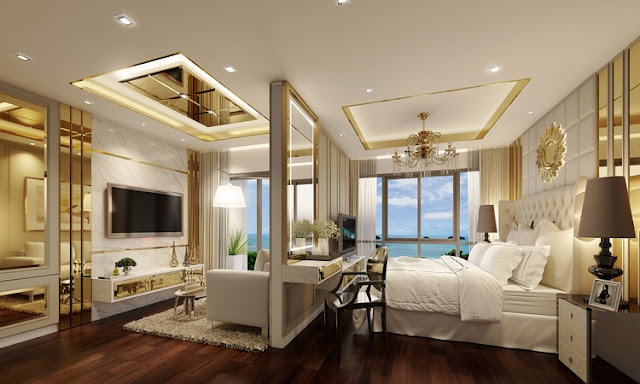 Guaranteed return 6% for the first 5 years and long-term hotel business investment with 30 years long-term manage as a hotel business which is a key strength to attract long-term investors. Mrs.Irinraya Pattanawiranon, Executive Director of Irin Proporty, Co.,Ltd said “ we have just launched a new concept of condominium investment which considers a new dimension of a condominium investment where condominium will be managed by world recognize international 4.5 stars hotel chain based in the United States “ WYNDHAM Hotel Group” as a partner for developing “WYNDHAM GARDEN Irin Bangsary Pattaya” for long-term investment with guarantee return 6% for the first 5 years and next 30 years long-term investment as a condo hotel by getting a room rent as a hotel. Together with free accommodation privilege from “WYNDHAM” chain with over 8,000 networks of rooms worldwide by staying 7- 40 nights per year with free of charge that last for 35 years. Expected overwhelm interested from long-term investors for this project. Irin Property Co.,Ltd has a background business form an interior and design firm serving leading property companies and furniture suppliers for more than 20 years in condominium projects development both in Bangkok and Pattaya area. With these business background make company gain expertise and understanding the need of consumers for property projects. Especially, with Bangsary, Pattaya area which can consider as a popular tourist destination that makes many local and oversea investors are really interest to invest and develop rental and hotel projects here. 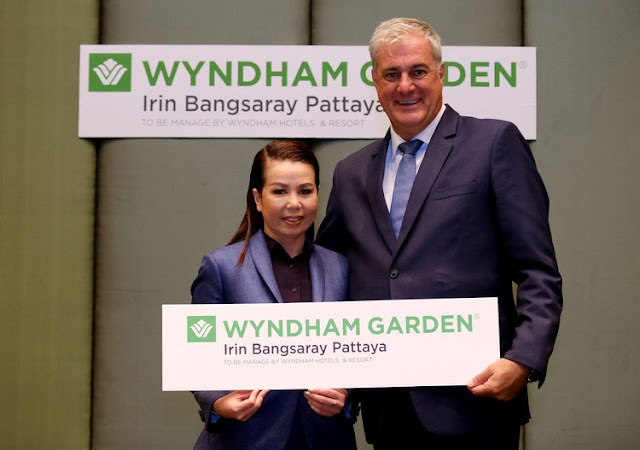 Hence, Irin Property decide to partner with an international leading hotel chain like WYNDHAM Group to expand its portfolio to hotel property business. 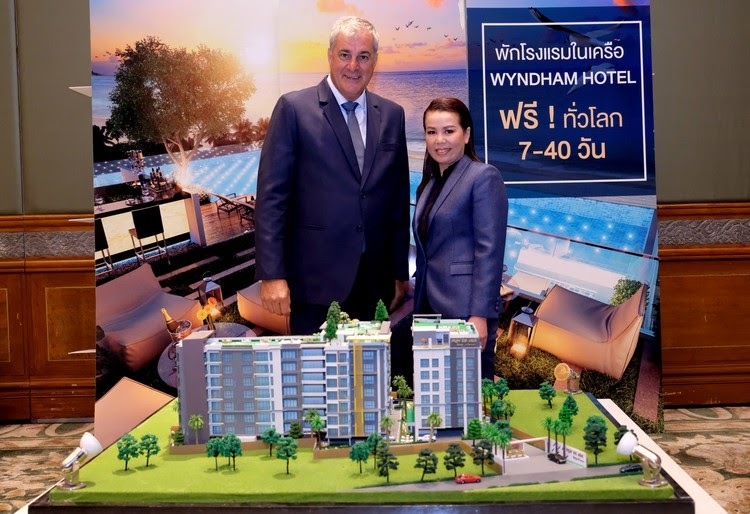 “From management point of view, together with our alliance an international leading hotel management firm like WYNDHAM. We are strongly believed that there is high demand for hotel accommodation in Bangsary area. Since it is a new zone that has been developed continuous from Pattaya city in all major aspects including industrial and commerce sectors according to Thai government’ policy of East Economic Corridor: EEC. Which continue to develop cities in many areas for instance, Transportation system, U-Tapao International Airport, High-speed rail route, etc. And Tourist sector in Bangsary area which has many popular tourist destination like Bansary beaches, Nong Nooch tropical garden, Silverlake vineyard, Khao Chee Chan, Ramayana Water Park, Swiss Farm Sheep, Cartoon Network Water Park, The Legend Siam, Vihara Sieh, Watyanasangvararam, Popular seafood restaurants, etc. On the other hand, there are still less development property projects compare to high demand as previously mentioned. 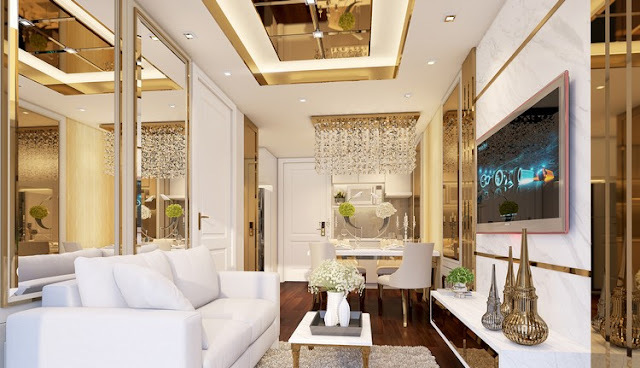 Which makes Irin property seek an opportunity in Bangsary area and start this project and aim to finish the project in Quarter 4 of 2020.” Mrs. Irinraya mentioned. 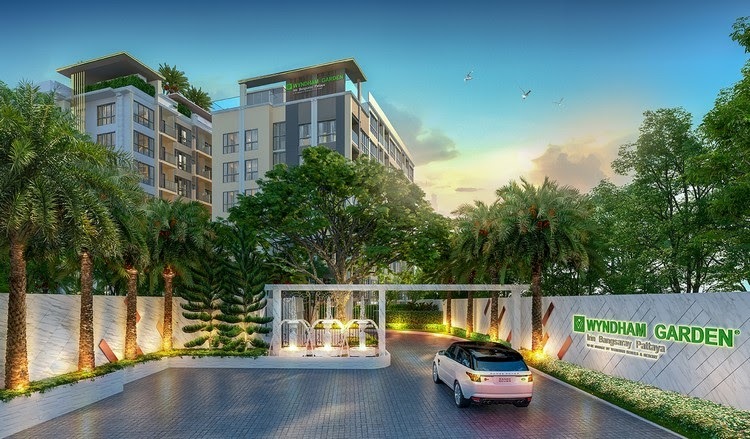 WYNDHAM GARDEN Irin Bangsary Pattaya is the luxurious condominium for investment purpose with Low-rise and modern luxury style. Consists of two buildings with 8 floors each on land of 2 Rai 29 Sq.w. at Bangsary area and only 250 meters away from the beach. Total unit of 235 rooms with 27.13 - 47.29 Sq.m. room type at an average price of 120,000 Bath per Sq.m. provided the room with fully furnished and appliances at standard room type perfect for temporary stay and short-term stay guests and luxury room type perfect for long-term stay guests. 1 Bedroom type at 27.1 - 39.96 Sq.m. 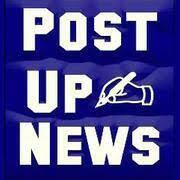 and 2 Bedrooms with 1 Bathroom type starting from 47.29 Sq.m.and up. 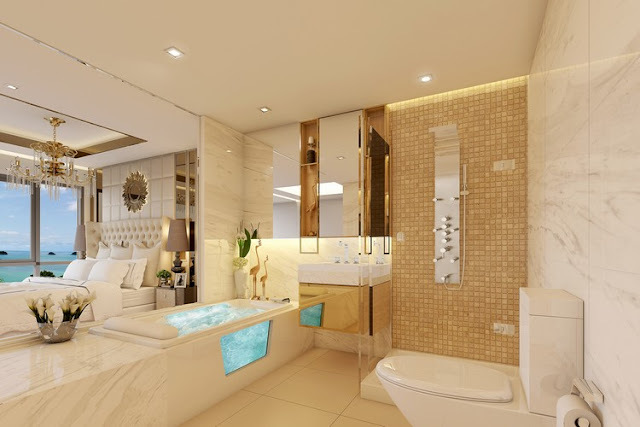 Luxurious modern style decoration with Jacuzzi massage and Spa shower install each room to create the different and uniqueness compare to competitors. And worries free of maintenance or legal issue for rental the room since operate and manage as a hotel by professional one. 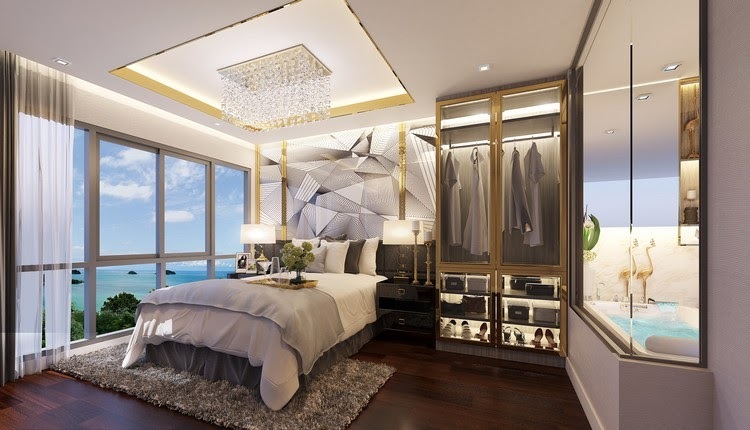 Price of the room starting from 2.6 – 7.3 Million baht. Other than above, the design of construction and facilities provided to be suite and completed for living and relaxing as home. For instance, spacious Lobby area connecting between building A and B, Café and Lounge area at Lobby and Roof top floor, Huge bistro and bar on roof top floor. 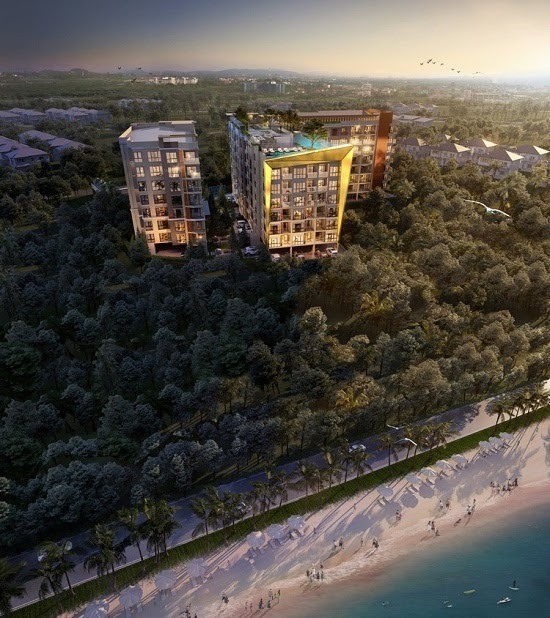 Fantastic Bangsary beach and mountain scenery, Rooftop garden, 2 swimming pools located at Building A and B each, Fitness, Meeting rooms for catering and seminar on rooftop floor, Garden area on rooftop and around property, Playground and Waterfall decoration around the project. Manage by professional international chain with 4.5 star hotel standard to fulfill guests sensation and truly relaxing moment.